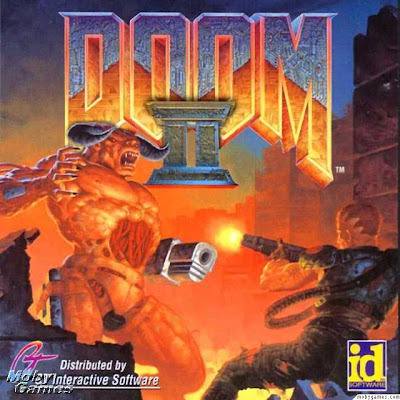 Doom II is out on literally everything, recently it was released on X-Box 360 Live Arcade for 800 Microsoft Points. I of course brought it, so now own the game at least 3 times (also have it on PC, and I think I have it twice on the original X-Box). This latest version has a new chapter, called 'No rest for the living' that comprises 9 levels, and has an ending to it. Everyone knows Doom has a super cool story...heh. The stories in Doom occur after each chapter. It is a screen of humorous text describing the goings on. 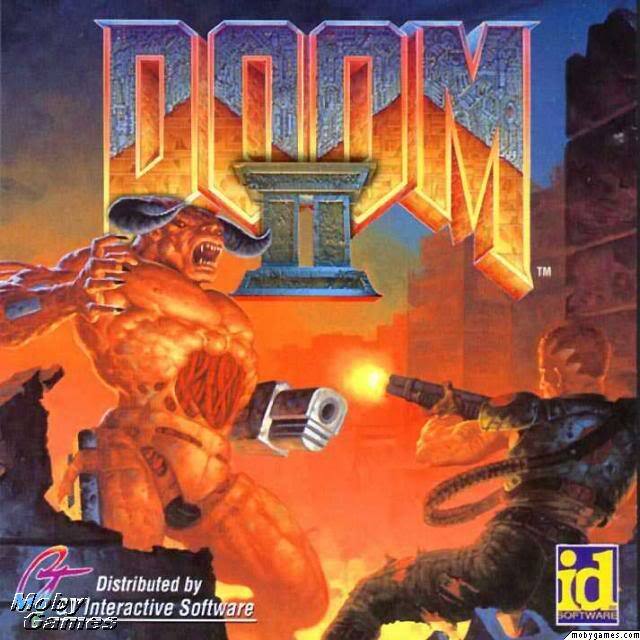 Anyway Doom II takes place directly after Doom. Having stopped the invasion of Hell to the Space Stations of Mars our Hero returns to Earth. There he discovers that Earth is also being invaded by the legions of Hell. The Marine must get to the Hell portal, then travel once again to the heart of Hell to destroy the evil. The game of course is a first person shooter. Quite basic in that you are unable to look up or down, or strafe. Also your weapons do not require reloading. The enemies are all flat pixelated ones, but the game has a lovely charm to it. Up to the end of the first chapter the enemies are all exactly the same as from Doom. But a wonderful curve ball is thrown when for the rest of the game a whole host of new enemies are introduced. These include the Pain Elemental that spits out Lost Souls (flying flaming skulls), a Skeleton with shoulder mounted rocket launchers, giant cyborg spiders, as well as a load of other horrors. All the original games enemies are also present, which of course include the Zombie Soldiers, Cacodemons, and iconic Imps. The game has 30 levels which gradually get more hellish looking. Starting off at the Space Port, later levels move onto Residential Areas, then into Hell where there is lots of Lava, walls dripping green slime, and teleporters. The New chapter is self contained and has 9 levels. The later of these levels are utterly crazy with amazing numbers of enemies pitched at you! One in particular sees you descend on a lift into a literal sea of Imps! One minor complaint with all these enemies is that it can be hard to see the un killed ones through the masses of dead, that's a cool annoyance, but still bothered me on occasion.